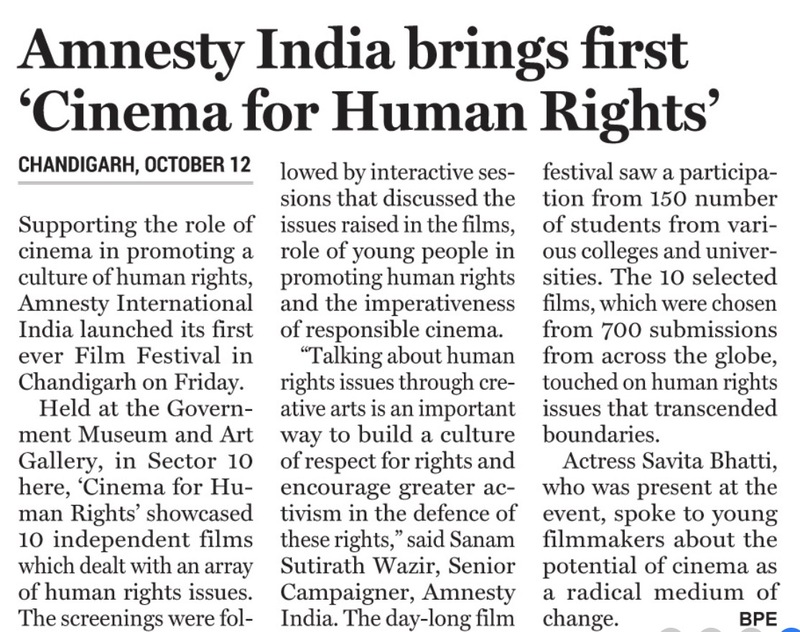 Chandigarh, October 12, 2018: Supporting the role of cinema in promoting a culture of human rights, Amnesty International India launched its first ever Film Festival in Chandigarh on Friday. 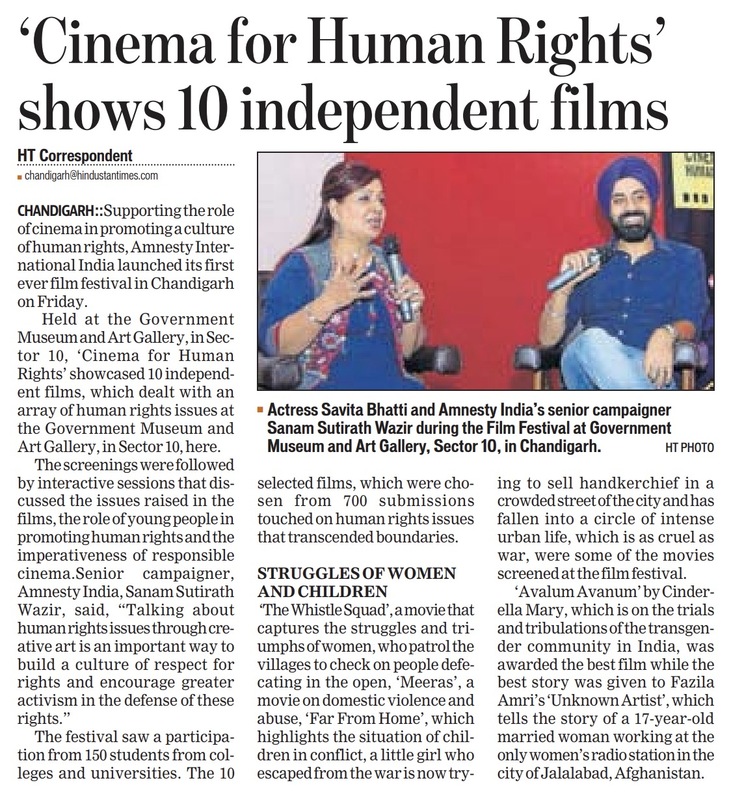 Held at the Government Museum and Art Gallery, in Sector 10 here, ‘Cinema for Human Rights’ showcased 10 independent films which dealt with an array of human rights issues. 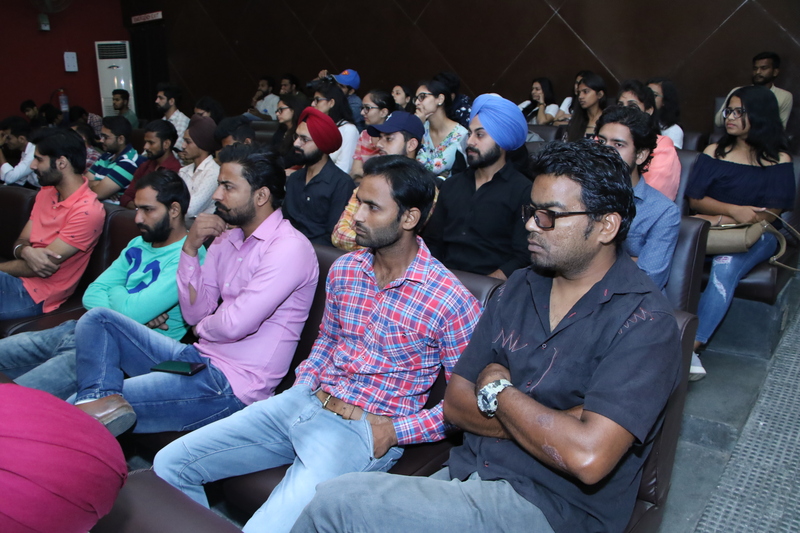 The screenings were followed by interactive sessions that discussed the issues raised in the films, role of young people in promoting human rights and the imperativeness of responsible cinema. 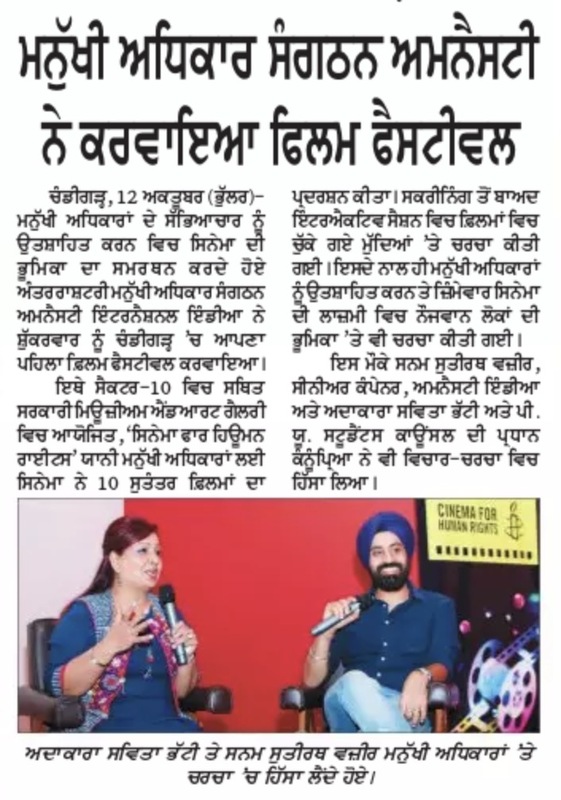 “Talking about human rights issues through creative arts is an important way to build a culture of respect for rights and encourage greater activism in the defence of these rights,” said Sanam Sutirath Wazir, Senior Campaigner, Amnesty India. 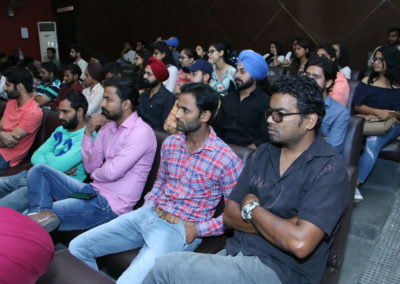 The day-long film festival saw a participation from 150 number of students from various colleges and universities. 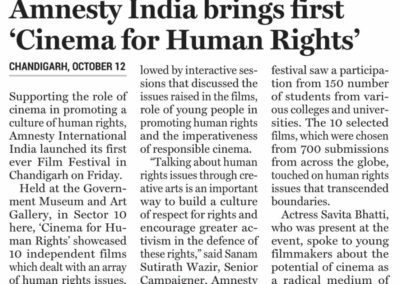 The 10 selected films, which were chosen from 700 submissions from across the globe, touched on human rights issues that transcended boundaries. 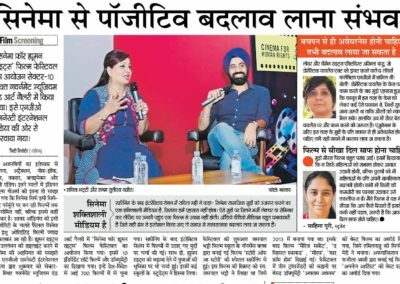 “The Whistle Squad”, which captures the struggles and triumphs of women who patrol the villages to check on people defecating in the open, “Meeras”, a movie on domestic violence and abuse “Far From Home” which highlights the situation of Children in conflict, a little girl who escaped from the war is now trying to sell handkerchief in a crowded street of the city. 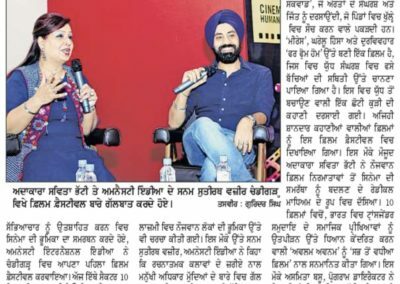 She has fallen into a circle of intense urban life which is as cruel as war, are some of the movies screened at the film festival. 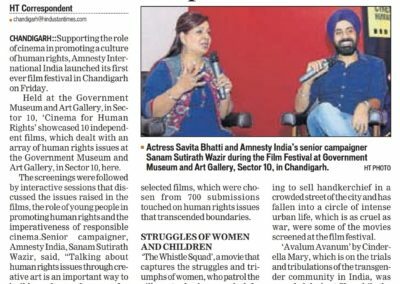 Actress Savita Bhatti, who was present at the event, spoke to young filmmakers about the potential of cinema as a radical medium of change. 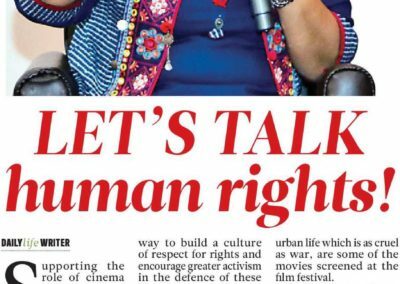 She also stressed on the importance of young people in creating a culture of human rights in the country. 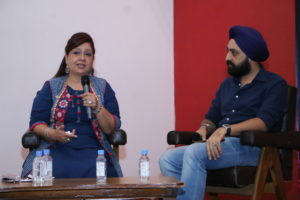 Out of the 10 films, “Avalum Avanum” by Cinrela Mary, which focused on trials and tribulations of the transgender community in India, was awarded the “Best Film” while the Best Story was given to Fazila Amri’s “Unknown Artist”, which tells the story of a 17-year-old married woman working at the only women’s radio station in the city of Jalalabad, Afghanistan. 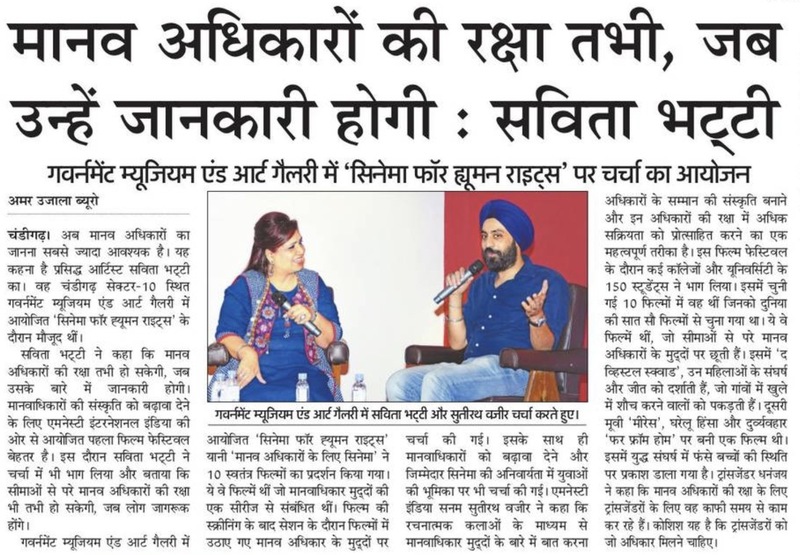 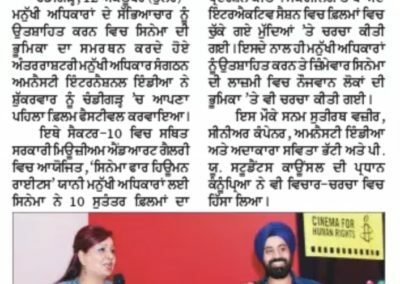 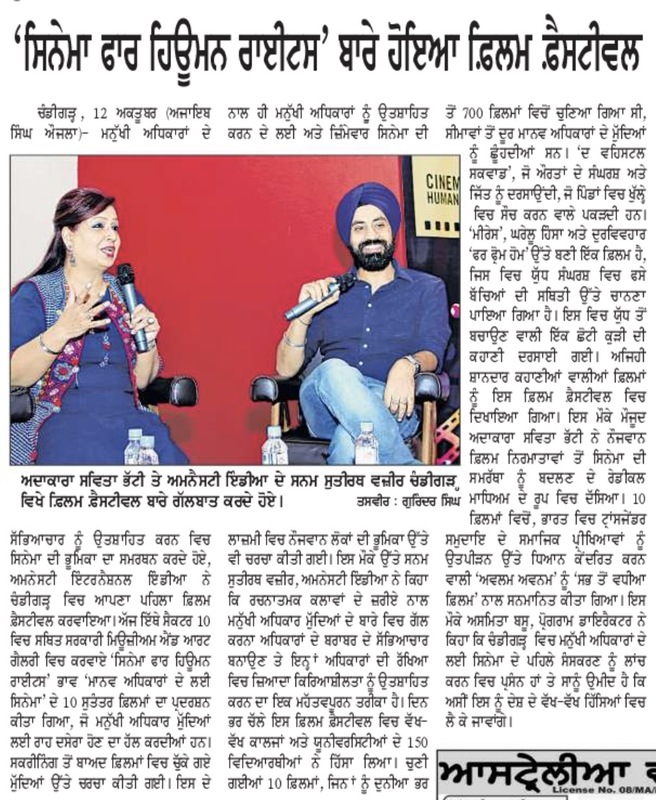 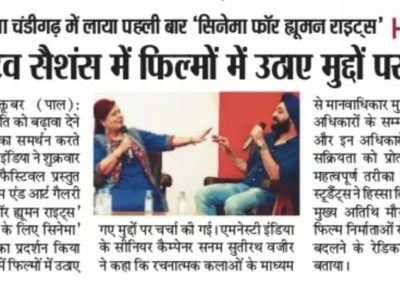 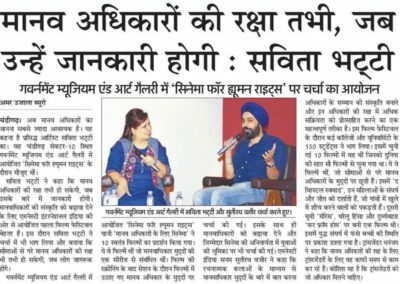 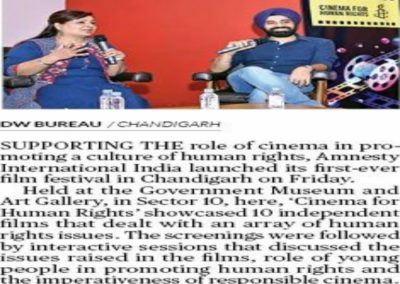 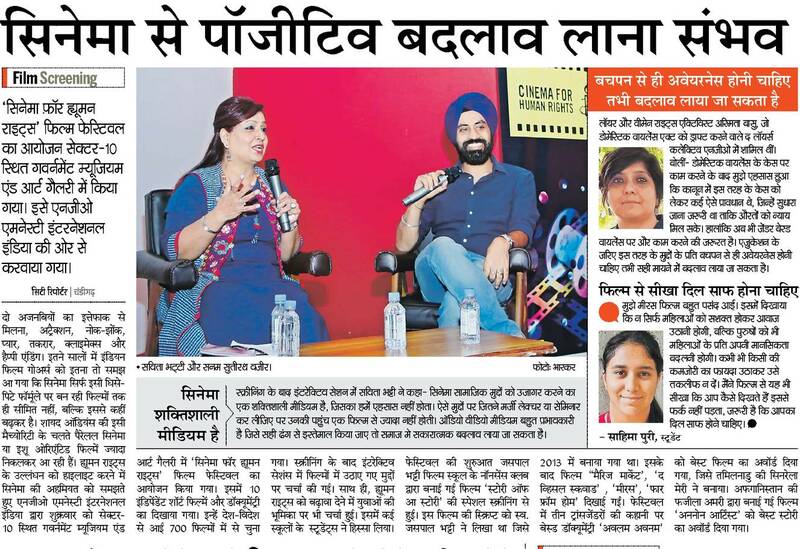 “We are delighted to launch the first edition of Cinema for Human Rights in Chandigarh and hope to take it to different parts of the country. 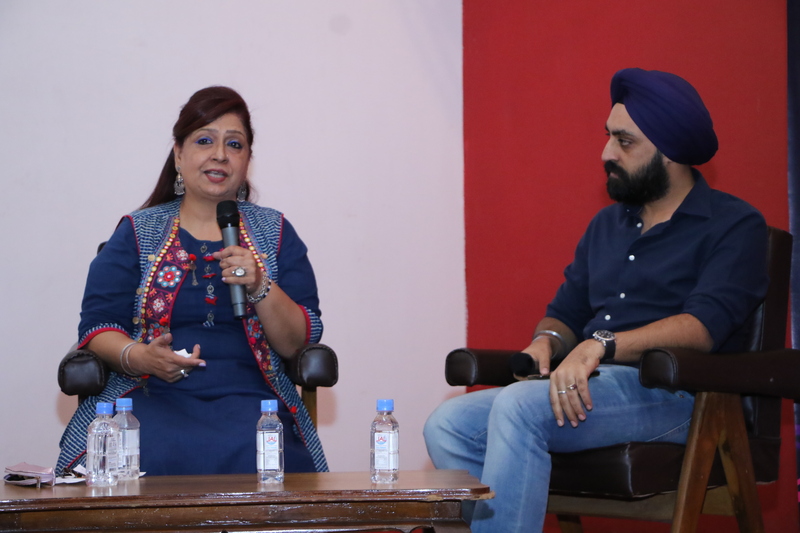 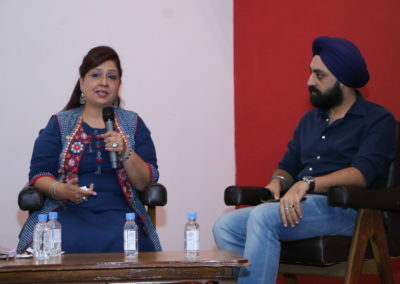 Film is a powerful tool and used effectively can positively influence the way people see and think about the world they live in,” said Asmita Basu, Programmes Director, Amnesty India.